For Father’s Day I’m going to tell you a bit about Kevin. Before we knew it, the number of windmills around the home spread started to compete with the number of horses we owned. I gave him an ultimatum, “The number of windmills can’t exceed the number of horses.” He looked at me funny as I continued, “And I don’t intend to support any more horses.” At the time, we had five horses and were working on six, with a mare due to foal. Well, I lost out on that. The number of windmills far exceeds the horses. We’re down to just two horses now, as the old girls passed on to greener pastures. One thing about windmills, he tends to find them new green pastures, as he expanded into selling them to other admirers of this bit of Americana. Some have been pressed into service pumping water as they did and still do on many farms and ranches. Other people have wanted them for aerating ponds, and still others just want them up spinning on their property so they can look at them. Others have found them useful for signboards, in areas where signs are not allowed, by having the tails custom painted with their ranch names or logos. He has since donated a complete windmill and tower to the Solar Living Institute in Hopland, CA. where he trained the interns on how to install a windmill. With this donation, he hoped to inform many people that alternative, free methods of pumping water still exist, as it has for well over 100 years. He has worked with several different brands of windmills including Flint & Walling, Dempster and Aermotor, just to name a few. He’s still looking for just the right parts for his special baby, a rare Gem windmill. He also donates a week of his vacation time each year, to go help restore and maintain antique windmills at the Shattuck Windmill Museum in Oklahoma. What else can I say? He’s one busy guy and a good Dad to boot. Both of our kids make us proud. Our daughter has graduated with her Masters Degree in Speech Pathology and is now a full time speech teacher for a school district. Our son is studying Accounting and Business Management fulltime in college. And, they’re certainly not afraid to bring their friends home to look at the windmills. 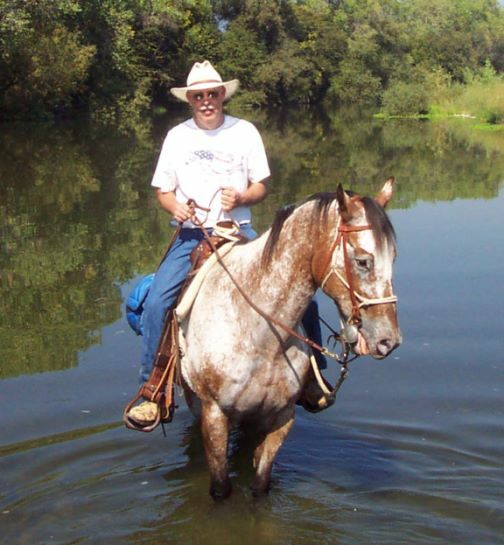 This entry was posted in authors, California Writers Club, farming, Father's Day, firefighters, great stories, Horses, Ponies, Sonoma County, windmills, Writers, writing. Bookmark the permalink. A super tribute to Kevin! I will get to Old Town and look for his windmill before I leave San Diego! You might ask someone to take your picture in front of the windmill–even if it has to be over the fence! It’s the only Tustin windmill around. Sounds like a super-dad to me! Thanks, Sonja! Yes, he’s super. You two have really figured out a way to follow your separate passions without leading separate lives. . . a good lesson for everyone. You could have turned into a Don Quixote, but instead, befriended the windmills. Thanks, Jeanne! Hmmm, now if I can only figure out how to write a novel that’ll blow on the winds like Don Quixote through the centuries. Thanks, Barb! Yes, windmills are great. Hey Robin, thanks for this story of a windmill building man. I enjoyed it and want to see these creations. Any chance he’ll give me a tour? Yes, you can come up any time to see the windmills. Unfortunately he didn’t have time to set one up at the Sonoma County Fair this year. Busy guy!